Loctite EA 3475 Metal-filled Compounds – 2K Epoxy, Multi purpose. 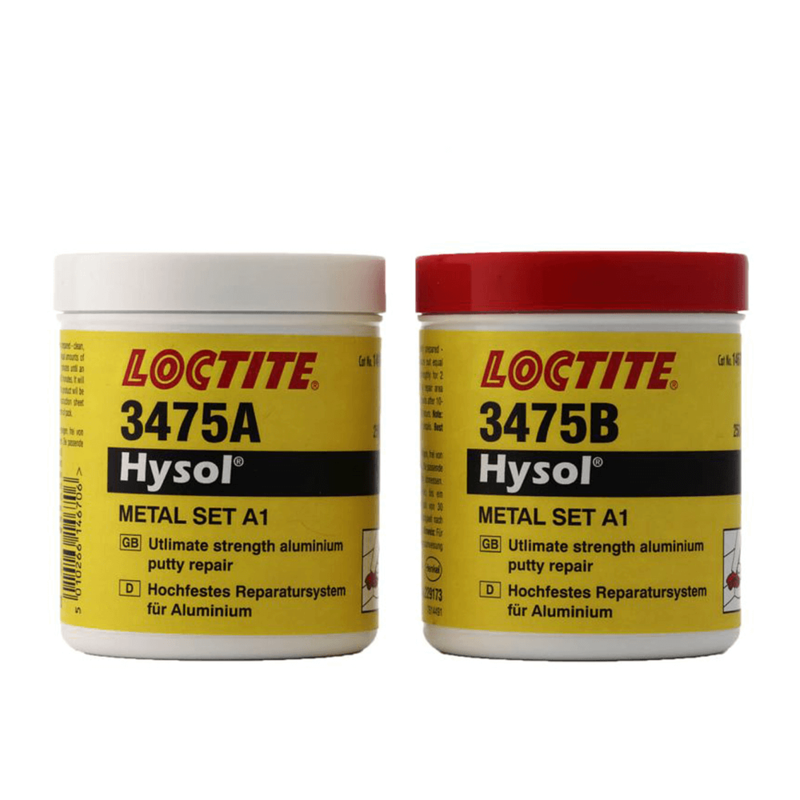 Loctite EA 3475 is an aluminum filled, two component epoxy adhesive that is ideal for the repair and recovery of worn and damaged machinery. It was developed for easy and convenient use in the workshop or for on-site maintenance. Typical applications include repairing worn parts such as shafts, housings, keyways and flanges as well as broken or damaged parts such as castings, pipes or fabrications. This product can be used for jobs as varied as filling cavities, levelling machinery, repairing cast-steel plates, making core moulds, applying a sacrificial coating or sealing leaking pipes. This product is typically used in applications with an operating range of -20 °C to +120 °C.